RamDisk is a fast disk in RAM memory for Windows. Both 32-bit and 64-bit Windows are supported. 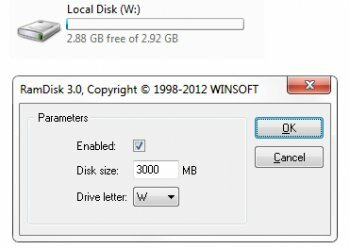 Max RamDisk size depends on Windows edition. New PnP RamDisk device drivers are built using the newest Microsoft KMDF WDK framework.